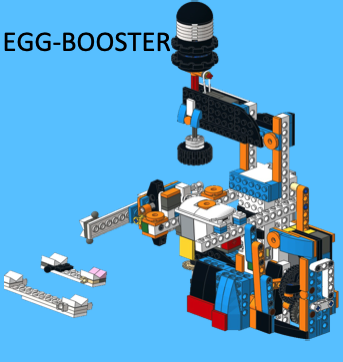 inspired by the egg-bots based on all kinds of building materials as well as some based on Lego Mindstorms I tried several ways to develop an egg-painting machine based on the Lego Boost set 17101 Creative Toolkit. 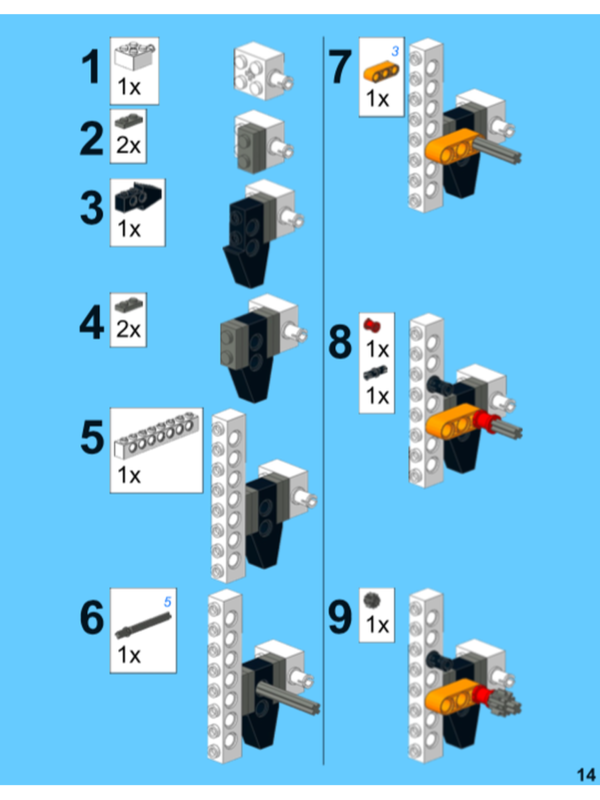 As most other MOCs hold the egg in a horizontal position I also tried this as my first option. In theory it has the advantage that the pen can use its own weight to paint onto the egg. This only works for vertical pen positions. When the pen is moved to more than 45° the weight is not sufficient to assure proper color transfer. As the vertical and horizontal positioning of the pen is controlled by motors A and B, vertical lines and circles are possible. Only Motor A and B can be controlled synchronously with the MOVE Hub. The external motor is controlled separately and in this model is used to lift the pen from the egg. As with my other models, building and coding instructions are available on rebrickable.com.